Click here to view the 2018 agenda. Truly Smart Manufacturing: What’s Possible, and When? As global manufacturing undergoes its biggest transformation since the industrial revolution, we'll hear from one of the world’s most innovative manufacturing companies. Get inside the radical changes taking place, gain a glimpse of those that are to come, and obtain some hard-won advice on how—and how not to—make the leap in your transformation initiatives. Sue Hwang | Chief Operating Officer, Hollman Inc. The new wave of industrial technology, from machine learning to IoT robotics promises incredible opportunity, but as everyone knows, execution is everything and misfires can be expensive and draining. So how do you make the most of tech without having it derail your operations? We’ll have a blunt, smart conversation with two mid-sized U.S. manufacturers who have successfully transformed their operations. They’ll detail their experiences—good and bad—and help you avoid costly mistakes. One year after the biggest tax-law change since the Tax Reform Act of 1986, U.S. manufacturers are the clear winners of the Tax Cuts and Jobs Act of 2017. With a strategic focus on bringing jobs back to America, lawmakers incorporated several temporary, yet lucrative, tax incentives for U.S. manufacturers. During this session, we’ll reveal best practices for taking maximum advantage of the changes. From the nuances of taking deductions on selling or serving foreign markets to converting ordinary business income into capital gains to strategies for accelerating deductions, obtaining tax credits, and harmonizing federal tax incentives with your local states, we’ll arm you with great ideas you can take back and put to use immediately. Bob Chapman grew a family-owned, single-product bottle-washing company into a corrugating, packaging and paper converting equipment powerhouse through strategic acquisition, operational expertise, and commitment to what he calls "Truly Human Leadership." Today, $3-billion+ Barry-Wehmiller is a combination of more than 100 acquired companies with over 12,000 team members in 200+ locations around the globe. Chapman will share his unique leadership recipe for diagnosing, troubleshooting and radically improving manufacturing organizations in an era of unparalleled technological transformation by focusing on one job and one person at a time—and how you can do it, too. Attendees will rotate between the following tours and roundtable sessions. Since 1939, Peterbilt Motors Company has reigned as America's premium quality truck manufacturer, with a global reputation for industry-leading design, innovative engineering and fuel-efficient solutions. During the past several years, Peterbilt has introduced more new products and services than at any time in its history. We’ll learn more about how they’ve done it with an in-depth briefing by one of the company’s top operational executives ahead of our tour. Participants will have a deep dive into additive technology at the University of North Texas Additive Manufacturing Lab, a comprehensive and centralized facility bringing together both types of additive manufacturing — laser powder bed fusion, also referred to as selective laser melting, and laser-based directed energy deposition. UNT’s powder bed fusion system, the Aconity MIDI, is a unique, truly open platform and open architecture system that is designed for fundamental and applied research on additive manufacturing. The directed energy deposition system is a LENS 750 ideally suited for deposition of graded alloys and composites, as well as for site-specific addition of additive manufacturing features and component repairs. Attendees will be divided into small groups to engage in interactive and in-depth peer discussions on a range of strategic manufacturing challenges and opportunities. When it comes to technology, one of the biggest challenges facing manufacturing companies today has nothing to do with the technology itself — it’s about developing the people and culture needed to integrate new systems. The rapid pace of change, coupled with extremely low unemployment rates are creating a bottleneck to new tech integration, as well as a collar on economic growth. So where do you find the right people? How do you onboard them? What about re-training and developing new skills in existing workers? How do you help them get over their fears of being downsized by automation? How do you teach your wise old dogs new tricks? In 2004, a large technology company had an idea that would change everything about the way we communicate… a phone with a touch-screen that could connect to the internet. Citing costs and unproven technology, Nokia’s management killed the risky project. Three years later, Apple released the iPhone. The difference? Apple had built a culture of “Thinking Different” that enabled them to take a leap of faith. Too often, adoption of additive manufacturing is killed by assumptions about the technology, but fueling this mindset is a culture of fear. Fear of change. Fear of cost. Fear of complexity. Join us to discuss how to successfully make your leap of faith into additive manufacturing. Manufacturing CEOs know that expanding into new markets around the world is a key part of any growth strategy. But entering new international supply chains, developing relationships with foreign partners, and selling to new customers globally triggers a set of complex and often daunting legal hurdles, involving numerous trade barriers enforced by an alphabet soup of agencies and regulations. Tackling issues one by one, country by country, contract by contract is the impractical, risky route that many companies take because working through regulation is often misunderstood. In fact, developing and implementing a game plan is neither onerous nor an impediment to sales. This interactive roundtable will help you understand the essential considerations for global growth, sharing best practices to begin developing a way of working globally that will drastically reduce friction—and become a true competitive advantage in the years to come. The interconnectivity of smart manufacturing brings a host of benefits, but it also creates a new environment for security risks. Protecting legacy manufacturing systems or systems integrated into a fully automated, global supply chain is not easy. Cybersecurity threat actors are increasingly going after not only IT systems, but operations technology as well, threatening to shut down key processes. And, the profile of attackers has also changed, to sophisticated international operations and even nation state actors. So what steps can your organization take to identify, predict, and reduce cybersecurity-related risks? And how can your organization be better prepared to respond in the worst case scenario? Join other manufacturing executives and NTT Security to share experiences, discuss best practices to address evolving information security concerns, and walk away with new tactics to protect your manufacturing organization's core operations. As every manufacturing company becomes a technology company how can you use acquisitions to grow? How do you determine if you should make versus buy? How can organizations shift the mindset from a well understood EBITDA multiple to the new world revenue multiple? What are key considerations in the diligence process? Join your peers to discuss these questions and more. Learn about other manufacturing companies that have been rewarded for this strategy to help you understand when acquiring technology works, and when it doesn’t. This roundtable will help you better determine if it's time to “trade up”, when to consider divesting lower margin, non-core or underperforming assets, and what to do in preparation, both internally and externally. When it comes to building a cohesive and engaged team, this is the most difficult, complex time in a generation. From finding workers, to upskilling them, to integrating automation, how do you find the right people and strike the right balance of humans and machines? And how do you get them to truly embrace a culture of continuous improvement and learning? Cambridge Engineering has made great progress on all of these fronts by focusing on growing people. Through a combination of people-centric leadership and well-honed lean techniques from Japan, they have created one of the most studied mid-sized manufacturing cultures in America. They’ll share how they do what they do, giving you some successful culture-hack strategies in this can’t-miss presentation. It’s no longer just for big companies and experimental projects—additive manufacturing is fast becoming as commonplace as CNC on the shop floor. We’ll explore mid-market case studies of how this revolutionary technology is moving into production lines around the world, and how you can take advantage in cost-effective ways. Manufacturing is in the midst of its biggest revolution since the advent of mass production amid seismic changes in geopolitics, technology and consumer behavior. So where are we? And where are we going? And how will you thrive and survive in the coming decade? We’ll get the views of one of the most important, newsmaking executives in American Manufacturing. AllianceTexas is a 26,000-acre master-planned, mixed-use community located in north Fort Worth that is home to to more than 480 companies and 48,000 employees. 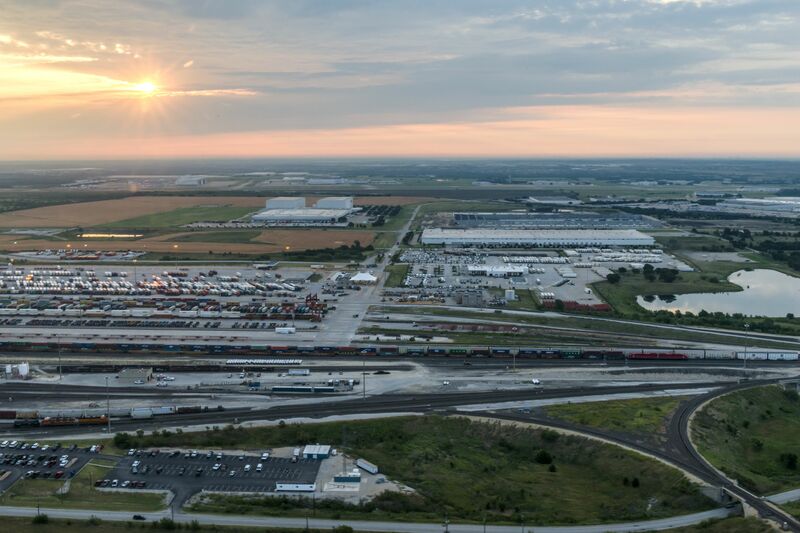 We’ll tour its pioneering multi-modal Alliance Global Logistics Hub, including one of the nation's largest intermodal yards, with two Class I rail lines and the world's first industrial airport. We’ll also tour one of the great 21st-century manufacturing complexes housed there - Wabtec Corporation. 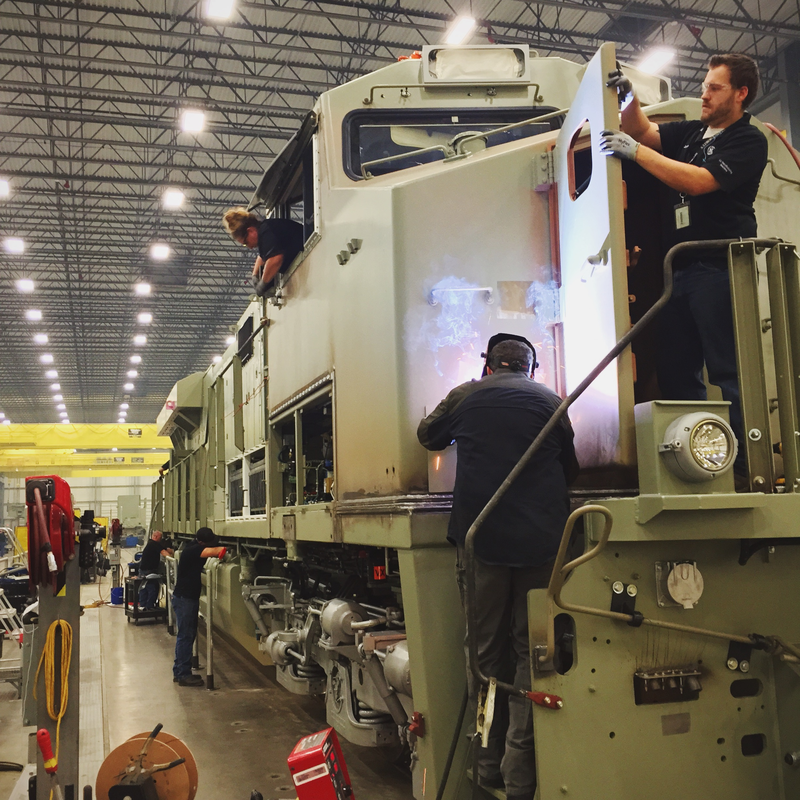 Wabtec (spun off from GE earlier this year) manufactures the industry’s most advanced freight locomotives at its Fort Worth plant. The 1-million-sq-ft facility began operations in 2013 and has delivered approximately 2,000 new or modernized locomotives. 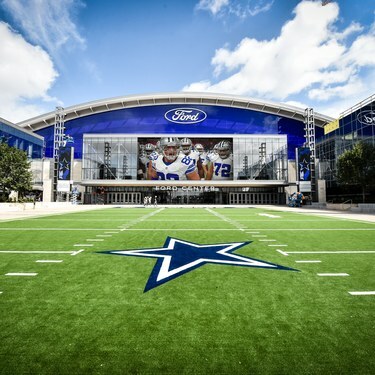 CEOs will experience the place where the Dallas Cowboys train and work 355 days of the year, including Ford Center at The Star, a state-of-the-art, 510,000 square-foot indoor athletic facility; the state-of-the-art Cowboys War Room designed with superior technology and fully interactive video wall for the NFL draft; and a display of all five Super Bowl Trophies and Rings from the years of 1971, 1977, 1992, 1993 and 1995.